← Besan and plain flour base Pizza. 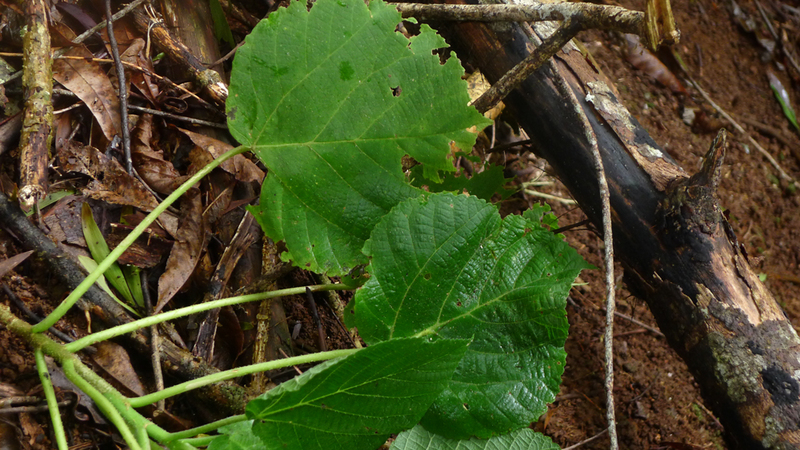 The stinging tree (Dendrocnide excels) is sparsely distributed here in existing rainforest and in some areas of disturbed or lantana cleared areas. A beautiful tree to look up to from below but a tree that I learnt, by painful exposure, to never touch. 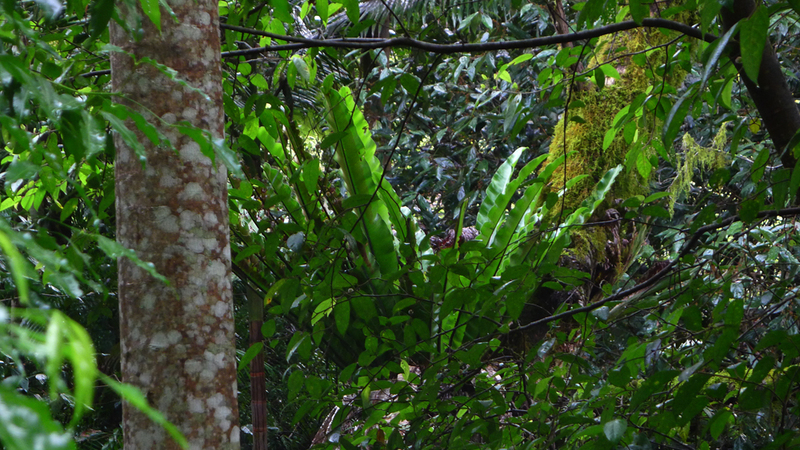 It took three months at least before the pain and sting subsided when I first encountered its leaf. See photo below. On an ABC 3 an English nature doco on Friday night, the presenter was here in Australia and was suitably gowned and face masked up before touching the Stinging tree’s leaves but his protection wasn’t enough for him not to get stung, luckily for him his team had on hand, ( a valueable bit of advice for me and my workers ) the common hair removal waxing strips, available from chemists, as a ready and effective remedy. Some welcome local news. Another herbicide free group of local residents are to begin taking care of their road frontages, therefore removing the Council’s spasmodic contracted spraying programme.